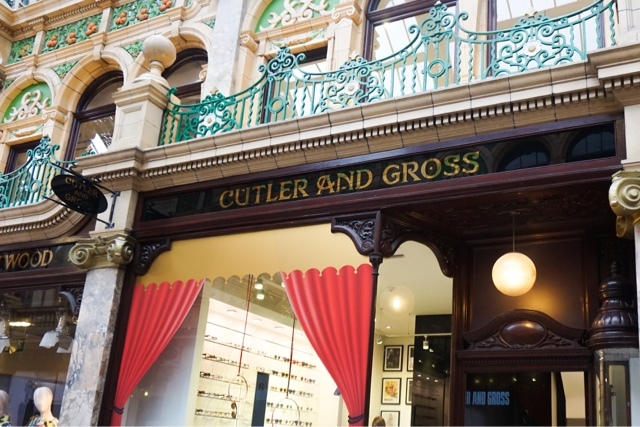 At the very beginning of July I headed back down to Leeds to attend the opening of the new Cutler and Gross store in Victoria Quarter. I always have to pinch myself whenever I'm invited to anything through my blog and I'm still not over how lovely and luxurious the evening was! Cutler and Gross create some of the coolest sunglasses I've ever had the pleasure to try on and I think I finally understand the designer sunglasses hype. The quality is just so obvious when you hold a pair and their aviator style frames even put Ray-Ban to shame! I now have a serious desire to get my hands on a pair, or two, or three... need I go on? 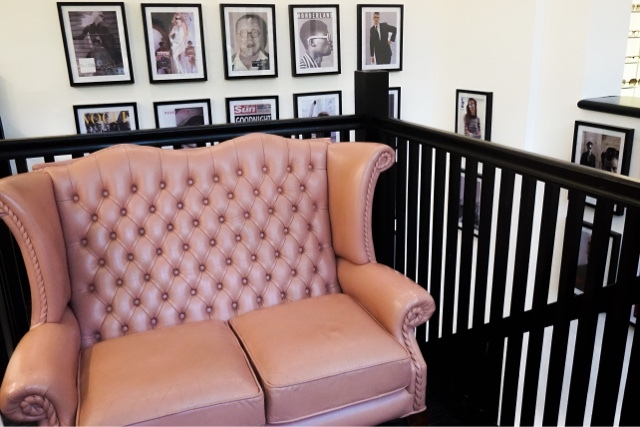 I'm currently lusting over these frames, I couldn't put them down at the launch! On first application, if I'm being really picky, I'd say that the Lidl fragrance has stronger top notes than the Chanel and therefore Suddenly Madame Glamour is slightly more citrus scent to it. But, in all honestly, it took a lot of sniffing for me to detect such a difference and after wearing both perfumes for an hour, one on each arm, I struggled to tell them apart. After 4-5 hours both fragrances were rather faint on my skin and Coco Mademoiselle had a slightly more delicate, floral scent whereas Suddenly Madame Glamour was more musky but they still remained ridiculously similar. As for longevity, I'd say that both fragrances last equally as long on my skin but the Chanel seems to develop with a softer, lighter end result. As I'm writing this I'm becoming increasingly aware of how many times I want to say slightly and it really proves that the difference between both fragrances is so minimal! The price difference, however, is not as marginal and for 50ml of Chanel's Coco Mademoiselle(Eau de Parfum) you'd be parting with £70. For special evenings I always reach for Chanel. One thing Chanel can do that Lidl simply can't is instantly make me feel extra fancy. I know it might be shallow but who can resist the charm of Chanel? However, even though I adore Coco Mademosielle, and as much as I'd love to wear it every day, I simply can't afford the price tag. So, for daily wear I'll always reach for the Lidl alternative and so far nobody has been able to tell the difference! So shh, let's keep this secret between us shall we? What do you all think of cheaper, dupe fragrances? Would you try Suddenly Madame Glamour? Latest In Beauty always put together the most incredible beauty boxes and I've been a fan of the company for just over a year now. 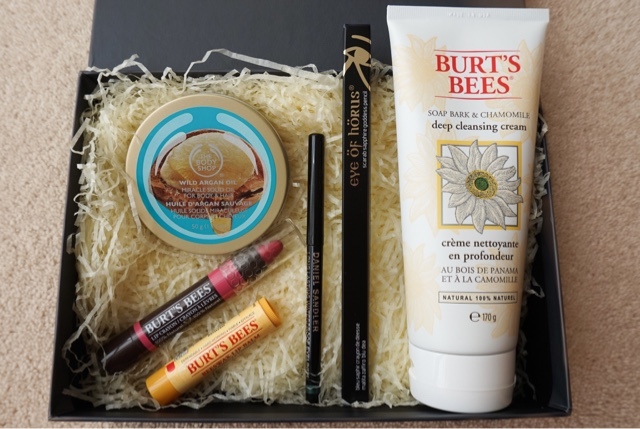 My first ever box, The Glamour Beauty Power List 2014, impressed me so much I've been an addict since and even though I haven't blogged about them all I've had quite a few boxes in the past year! 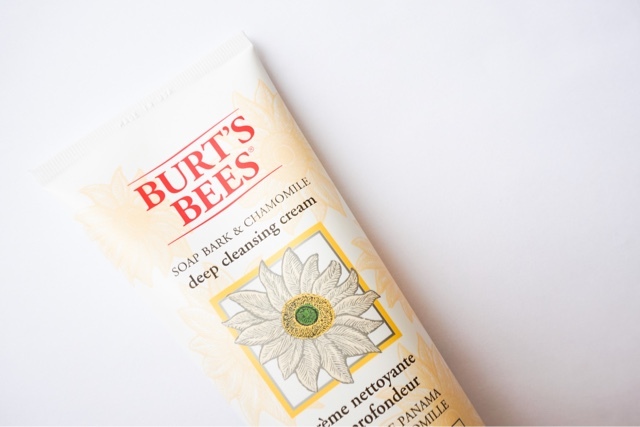 When I spotted a tweet from the lovely Jaina from Which Beauty Box UK, about the Latest In Beauty Awards Box I knew immediately that I had to buy it! Latest In Beauty's newest box allows the customer to select their own products out of 32 finalists which have been separated into 8 categories: Best Newcomer, Cult Classic, Body Beautiful, Green Award, Hottest Haircare, Skincare Saviours, Best Eye Makeup and Must Have Makeup. There are also 3 options: Box 1 (£8.99) contains 3 products, Box 2 (£12.99) contains 6 and Box 3 (£16.99) contains 9 products. Each individual awards box is designed to allow the customer to try some of the finalists before casting their vote in the Beauty Awards. The winners of each category will be announced after voting closes on the 26th July. A 'Winner's Box' will then be created and available to purchase shortly after the voting has ended! Every Beauty Awards box purchased also counts as one entry into LIB's the amazing giveaway where you can win every full sized finalist which is word £875! I decided to pick up Box 2 (I'm having major regrets about not opting for Box 3!) and added 6 of my favourite products to the box! You can see what I picked out below! The Best Eye Makeup category was amazing this year and it was so difficult not to add every finalist into my box! 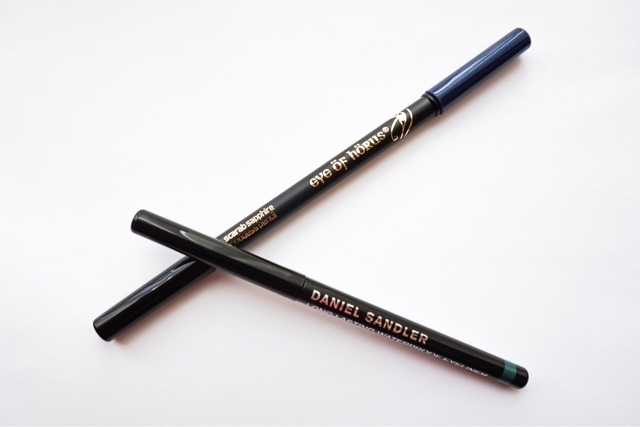 Competing against the Daniel Sandler and Eye of Horus liners was a full size Magnifibres Brush-On Lashes mascara and a Collection Fast Stroke Liner, both of which were so tempting! 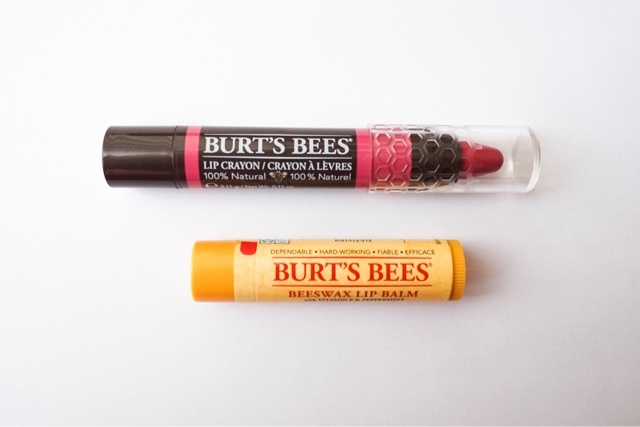 I tried to opt for products I was in need of mostly (hence the Burt's Bees Lip Balm which I adore!) so I did leave out a couple of categories but if you're not attempting to cut down on spending like I am I definitely recommend picking up Box 3! It's such good value for money. 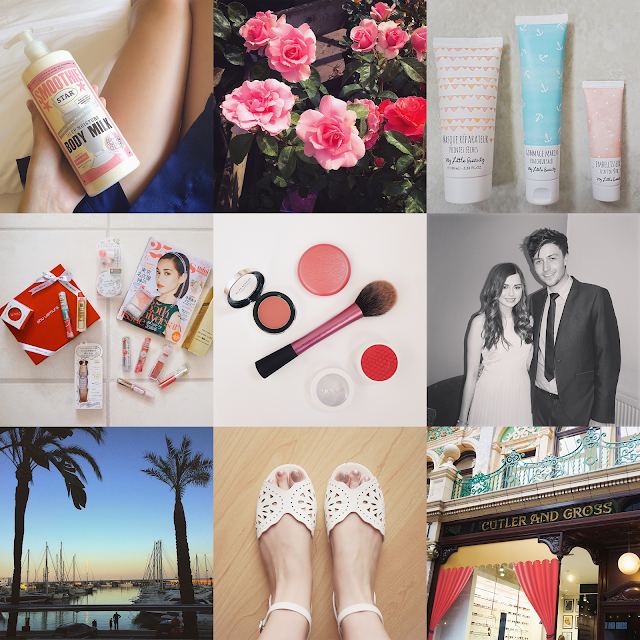 Have you created your own Latest In Beauty Awards Finalist Box? Let me know what you would pick in the comments below! What on earth does a Moonbeam smell like, I hear you ask? Well, that's exactly what I was thinking when I stumbled across this fragrance whilst browsing The Library of Fragrance's huge scent collection online a couple of months ago. The company, known as Demeter Fragrance in the USA, differs from your average perfumery as they're known for capturing singular scents like Baby Powder, Apple Blossom and even Pizza! They also have a linear structure, as opposed to traditional fragrances which have top, heart and base notes, so they don't change on your skin over time and always aim to represent the object or experience they're named after. After reading the poem I had already started to imagine what Moonbeam would smell like (I think it sets the scene really nicely!) and I'm actually quite surprised at how well they've managed to capture an experience in a fragrance: think taking a romantic stroll around a moonlit garden on a still, Summer's night. Moonbeam is both soft and sensual, it manages to express the innocence of the light but also the darkness and temptation of the night. The mixture of vanilla and chocolate add a sweetness to the perfume whilst the presence of green leaves, jasmine, lily of the valley, amber and precious woods give Moonbeam an earthy, musky undertone. The Library of Fragrance defines Moonbeam as a gourmand floral and I can't think of a better way to define it! As I usually gravitate towards fresh, fruity scents Moonbeam is a little bit different to the majority of the fragrances in my collection but I love reaching for it when I'm in a relaxed mood and in need of something softer and soothing. All of the fragrances from The Library of Fragrance are Cologne Sprays and typically contain around 2-8% of Perfume Oil which makes them ideal for layering. I've found that Moonbeam lasts around 4-5 hours on my skin and it's actually a scent I can smell on myself without being overpowering! 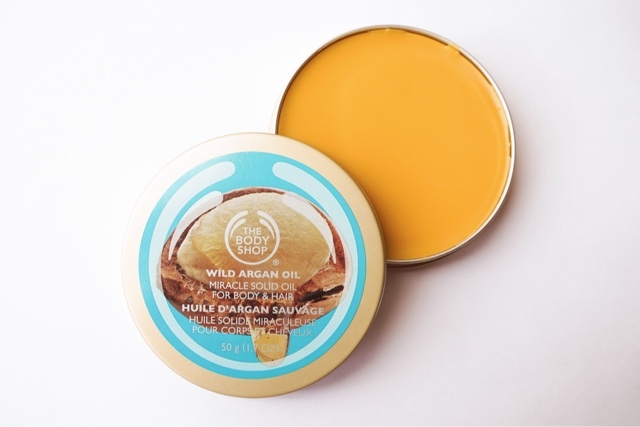 For 30ml, each fragrance retails for £15 (or you can pick up 2 for £25 in Boots!). I'm actually really impressed with how the quality of Moonbeam and I already have my eye on Lychee, Fresh Coconut and Ocean so I can start adding to my collection! 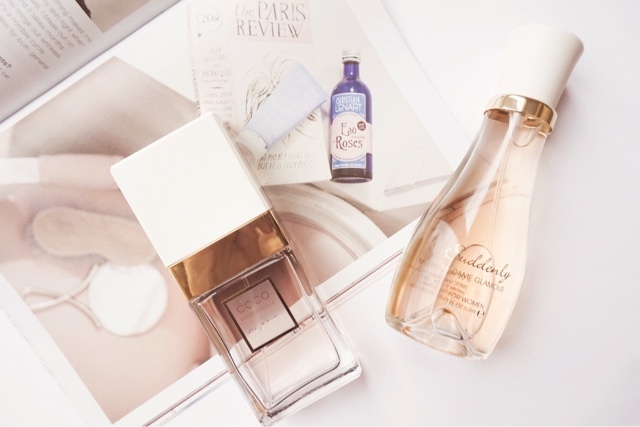 Have you tried anything from The Library of Fragrance? 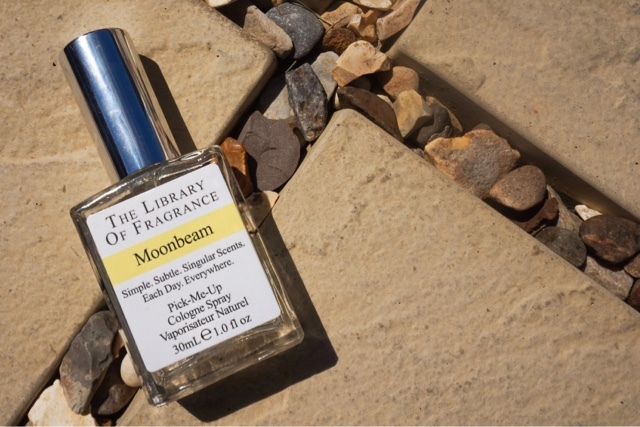 You can read more about Moonbeam here, on The Library of Fragrance website! I often find it a little bit difficult to incorporate lifestyle elements into my blog yet with such a lack of my actual face (I'm still overcoming that camera-phobia) I'm becoming increasingly worried that my blog isn't personal enough. I love taking the odd snap of my daily adventures: beautiful views, pretty flowers and even a scrumptious meal or two yet I'm completely rubbish at photographing throughout the day and gathering enough photographs to make an entire blogpost. I guess I'd be an absolutely terrible lifestyle or travel blogger but I just simply forget to grab my camera and snap a particular moment. I suppose I love living fully in the beauty of the moment more than I care for visually capturing the memory yet there's a part of my life I feel like my blog is missing. 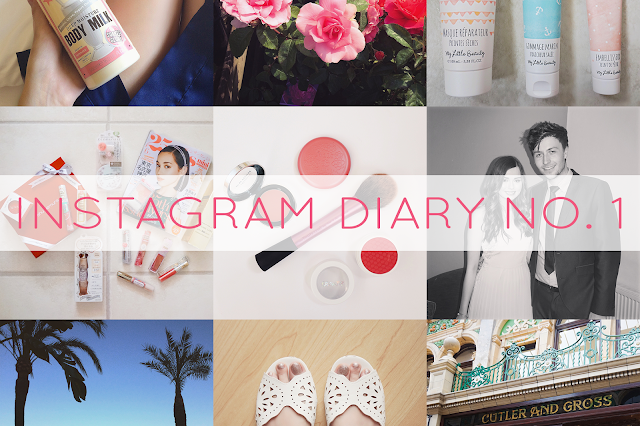 So, I've been noticing a lot of 'Instagram Diaries' floating about the internet lately and I thought it would be the perfect way to add a little bit of me, along with a couple of my favourite beauty snaps, into my blog. One of my goals on social media is to really start using and updating Instagram so I suppose this type of post really kills two birds with one stone (don't you just hate that expression - I never used to think about it but it's pretty awful! Poor birds...) I'm not sure how often these little Instagram Diaries will occur (possibly every 1-2 months?) but I hope you enjoy them and if you fancy a little bit more insight into my life you can follow me on Instagram at @b_ecki. Soap & Glory's Smoothie Star smells incredible! (and S&G posted my picture as a Regram!) | The Prettiest Pink Roses | My Little Beauty have adorable packaging | My amazing beauty swap package from Sakura in Japan | A Sneak Peak of a New Beauty Post! | Dan & I at our final University Ball | The view from Dinner in Estepona Port | Cute Summer Shoes from Primark | Attending the Launch Party at the new Cutler and Gross store in Leeds. Let me know how your week has been in the comments below! Karen Walker Fragrance Launch & Interview! 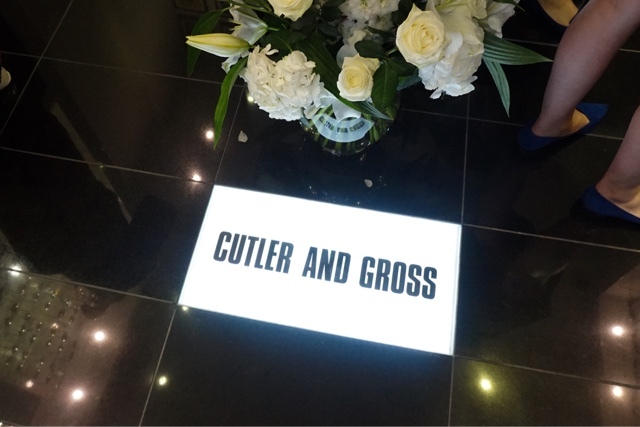 I still can't quite believe how lucky I was to be invited to a very special event at Harvey Nichols in Leeds a month or two ago. It was definitely one of those moments you just can't really believe is happening and I'm still in awe about the fact that I had the opportunity to interview the incredible Karen Walker at the launch of her new trio of fragrances. I don't know how many of you have heard of Karen Walker but she's a wonderfully talented fashion designer (and such a kind and funny woman!) who's been listed in the Business of Fashion's BOF500 (a list of people shaping the global fashion industry) each year since the list was launched. She's already taken the world of fashion by storm and her amazing eyewear collection has celeb fans such as Alex Chung *swoon*, Alessandra Ambrosio, Beyonce, Rihanna, Miranda Kerr, Kate Bosworth, Scarlett Johansson just to name a few (I could seriously go on fangirling forever!) and now she's delving into the world of fragrance. As expected her trio of fragrances, curiously named A, B and C, bottle up the vibrant and optimistic style of the Karen Walker woman and work harmoniously together as a wardrobe of fragrances which allow a woman to have a scent for any mood, day, time or occasion.